Yesterday’s post reminded me of this one from last year. This guy was a little bigger and more majestic than yesterday’s post. 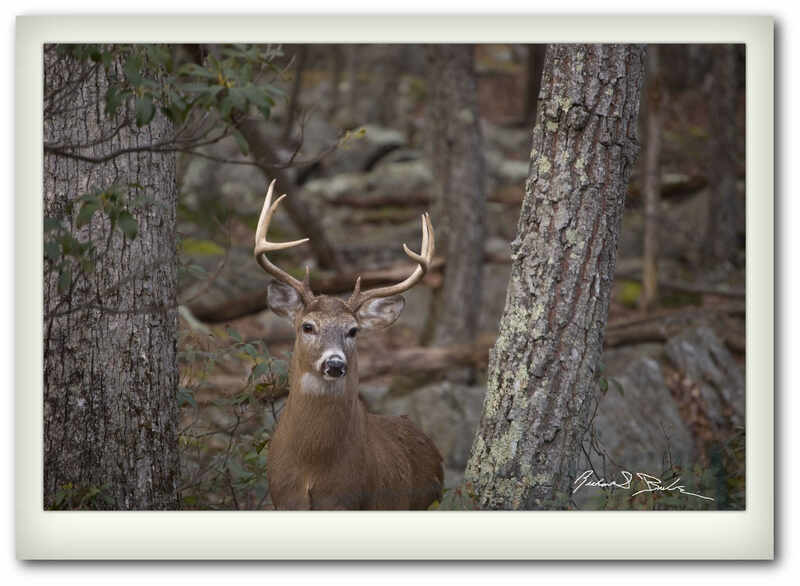 I only hunt deer with a camera, but understand the need for hunting to control the herd.Deer are kind of smart since there is no hunting in our community we see our deer population soar during hunting season only to spread out during the rest of the year. I don’t know how they understand to hide here. You can buy a print of this image and see others at my gallery by cclicking here. There is nothing that pleases a dog more on a hot day than being at the lake with his buds. 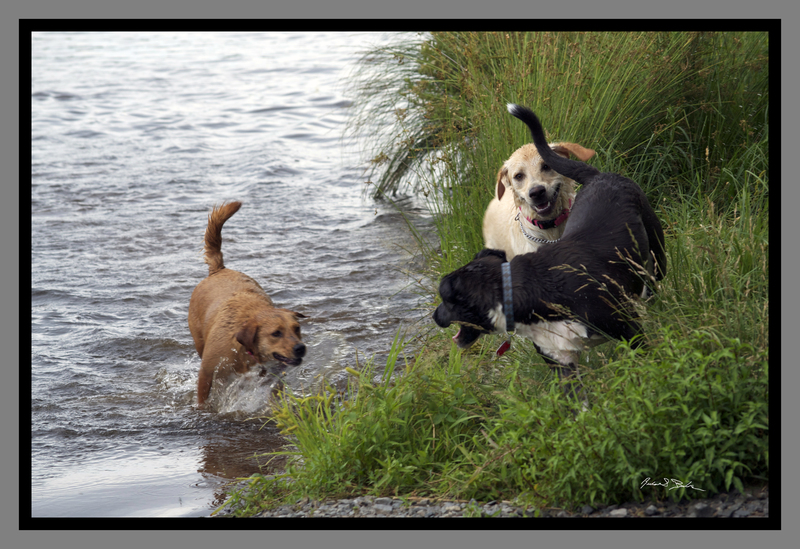 This is Shadow, Miss B and Tilly at a Pocono mountain lake. You can buy a print of this image at my commercial site by clicking here.